I am a long time Lainey fan. 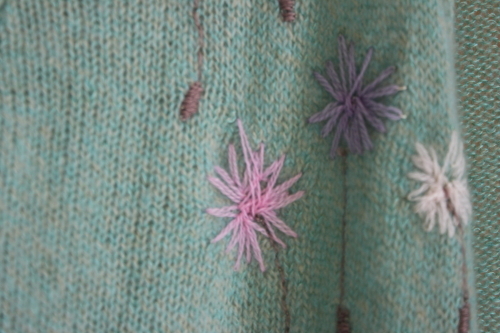 Lainey Keogh is the talented knitwear queen who has honed her design skills for over twenty years. 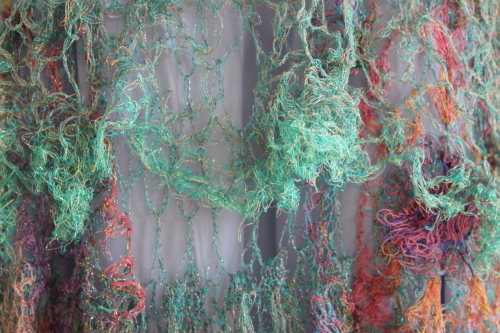 Lainey works using the traditional crafts of knitting and crochet in an imaginative way. 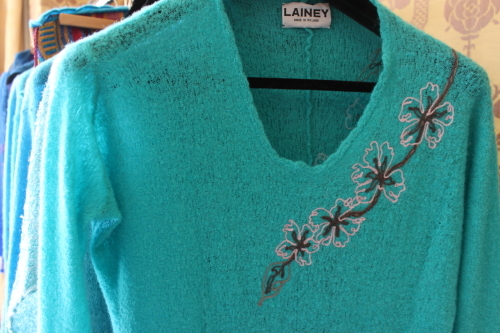 The Lainey label is about the art of the possible and a mysterious alchemic process. The results which flows from this fusion are stylish clothes woven from dreams. The beautiful ultra soft hand embroidered cashmere knits and the dreamlike crochet dresses have a timeless aura. I could have bought a mass of stuff when I went to see her latest collection at Dublin’s Shelbourne hotel. I avoided credit card carnage by repeating my newly minted mantra endlessly ‘only buy to fill the gaps in your wardrobe’. In case you are wondering what I need right now to fill a wardrobe gap – it’s summer jeans. Update; click here to read what blogging superstar Style Bubble says about her Lainey cashmere wrap and I think she is wearing it in this post here. Love this blog. Off to get some of those notebooks. Had completely forgotten about the Daintree. Nice to be reminded about an old favourite. I’m devastated! I left my beautiful big, thick Lainey cashmere coat on a plane last week. It was the most beautiful thing I ever owned. Any idea who stocks Lainey in Australia? Oh Sue that’s is so sad. I don’t know who stocks Lainey in Australia. Maybe if you get in touch directly with Lainey they can help. what airline was it? They should have a lost and found. Thanks for your comment Fiona. I don’t know if Sue tried the airline’s lost and found but here’s hoping the coat might turn up.